A Blondie is just like a Brownie, but with white chocolate instead of dark which makes for a paler and slightly cakier bake. I used to make them with nuts, but not having any nuts one day I decided to use some dried fruit and to my surprise everyone loved them so much more than the nuttier ones – I have continued to make them with fruit ever since. And for a recent visit to Culdrose Air Day I made some with a dried tropical fruit mix instead. As everyone asked for more I have assumed they approved. This bake cuts into chunks well and stacks and packs easily into boxes and tins for safe transit. 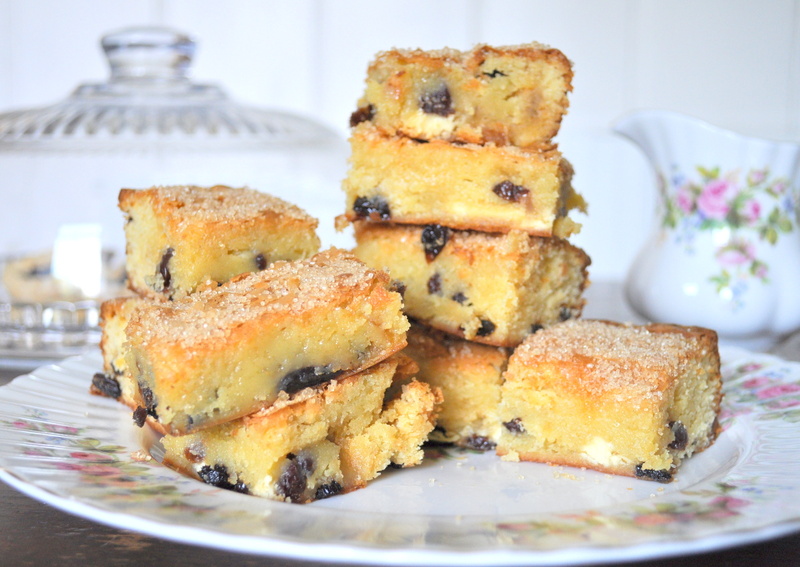 Blondies can be eaten as a cake, a treat or dressed up for a tasty pudding. My eldest daughter, and custard lover of the family, enjoys them all the more in a pool of warm custard sauce. 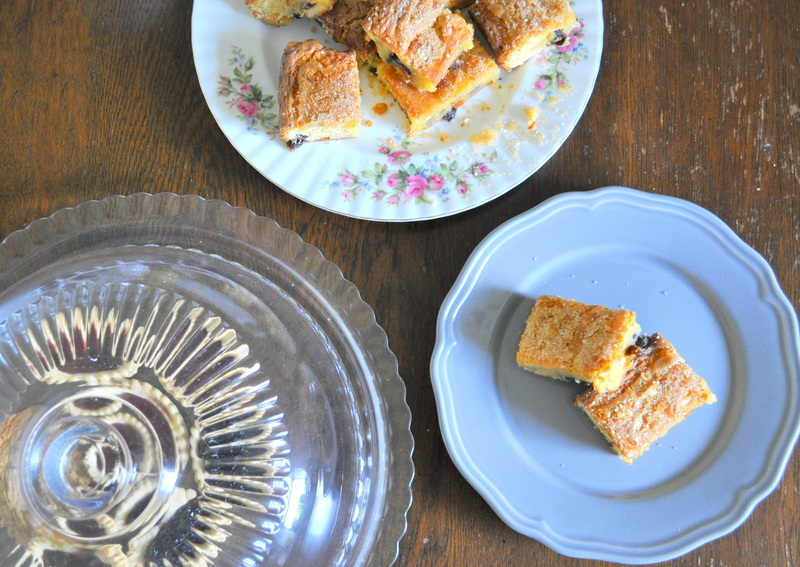 So versatile….so delicious! Pre-heat the oven to 180°C (fan oven 160°C) Gas Mark 3. 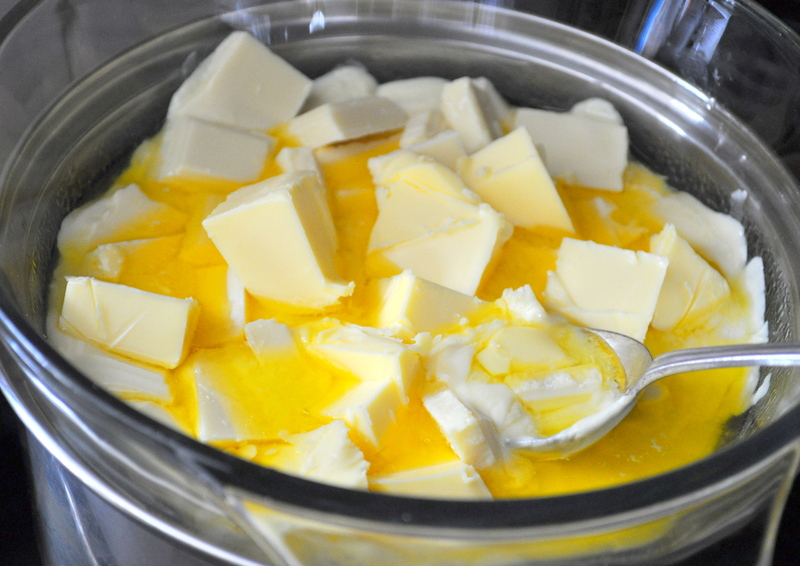 Place the white chocolate chunks and butter into a glass bowl and place over a saucepan of gently simmering water. Do not allow the water to touch the bowl as the chocolate will burn. 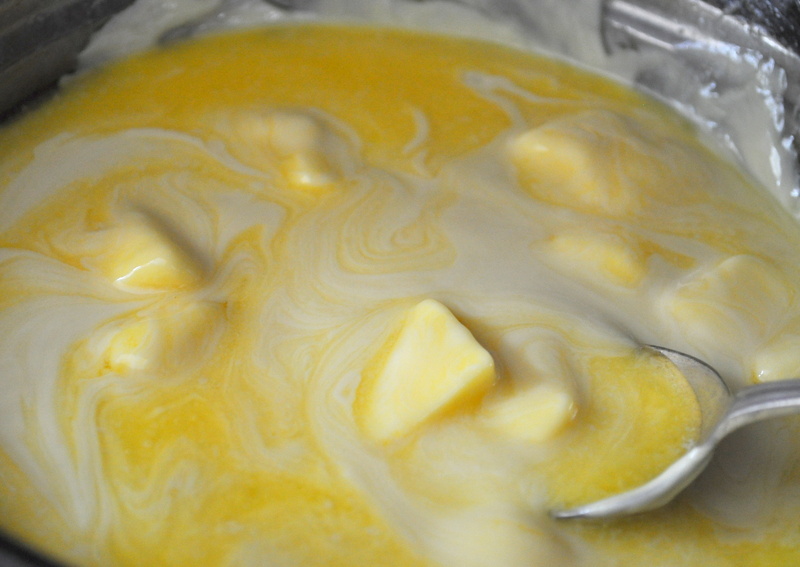 Stir occasionally until the butter and chocolate have melted and can be stirred to make a well blended sauce. Meanwhile put the sugar, vanilla, flour and eggs into a large mixing bowl and with an electric mixer whisk until all the ingredients are combined. (You can do this by hand with the creaming method.) Then stir in the chocolate sauce. 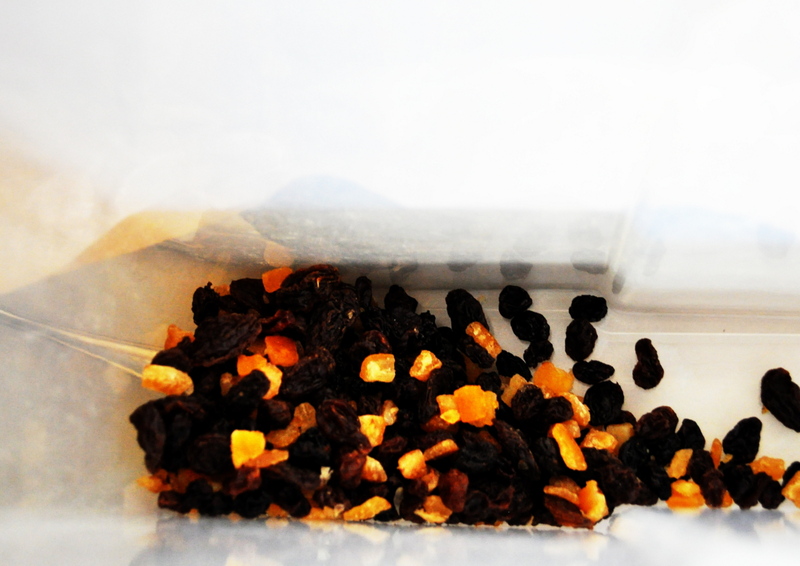 When well blended stir through the chocolate pieces and dried fruit to your taste – any combination will work. 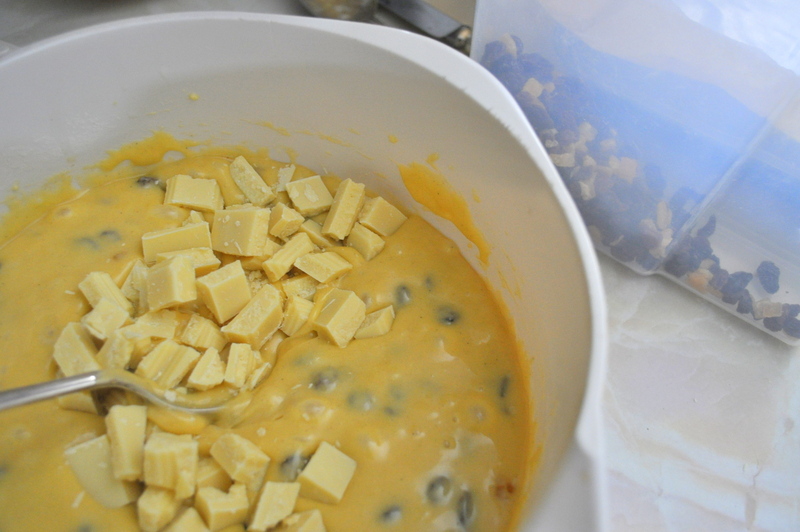 Spoon the mixture into the pre-prepared tin. Level and bake in the pre-heated oven for approximately 35-40 minutes. The cake should be slightly spongy when pressed. If you prefer a gooey texture cook for the allotted time or if you prefer a more cakey finish cook for a further 5-10 minutes. Remove from the oven and leave in the tin. Immediately sprinkle over the Demerara sugar so that it adheres to the warm sponge. Allow to cool in the tin. When cold remove from the tin and slice into whatever size pieces you prefer. 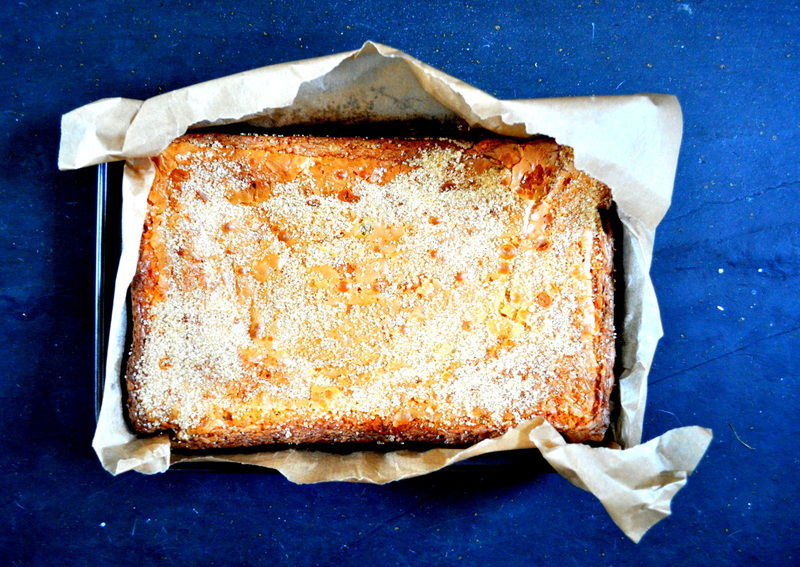 Blondies keep really well in an air tight tin and can be frozen – so they can be made well in advance of serving. Great on their own or with pouring cream, whipped cream, plain yoghurt, clotted cream, ice cream and, of course, the favourite pudding alternative – custard. 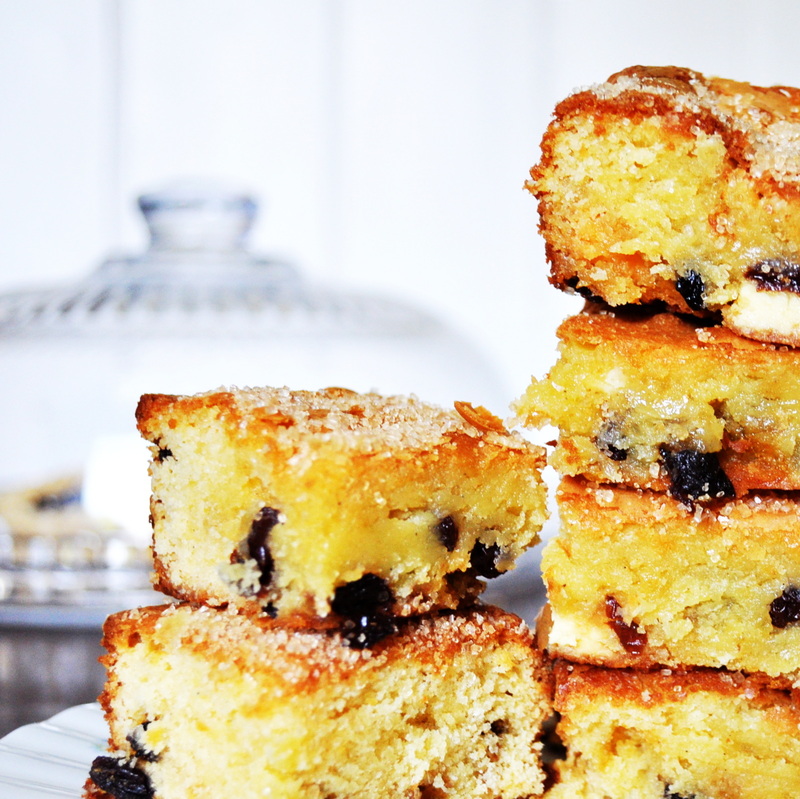 Fruity blondies enjoyed by blondes….and brunettes….and all shades! 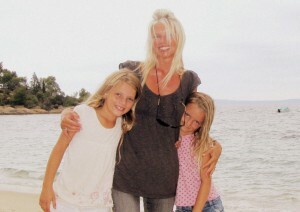 We were all blonde – once!